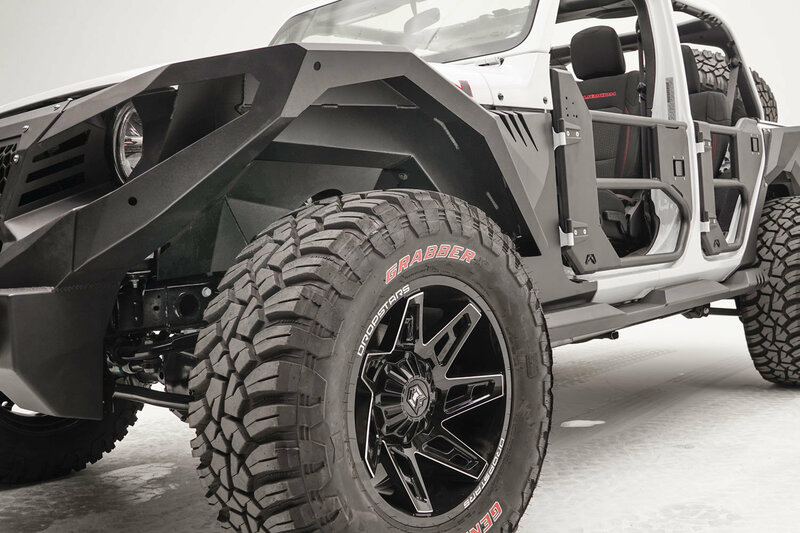 If your Wrangler JL already has the Grumper Fenders from Fab Fours then their Inner Fender Liners should be the next item on your to buy list. 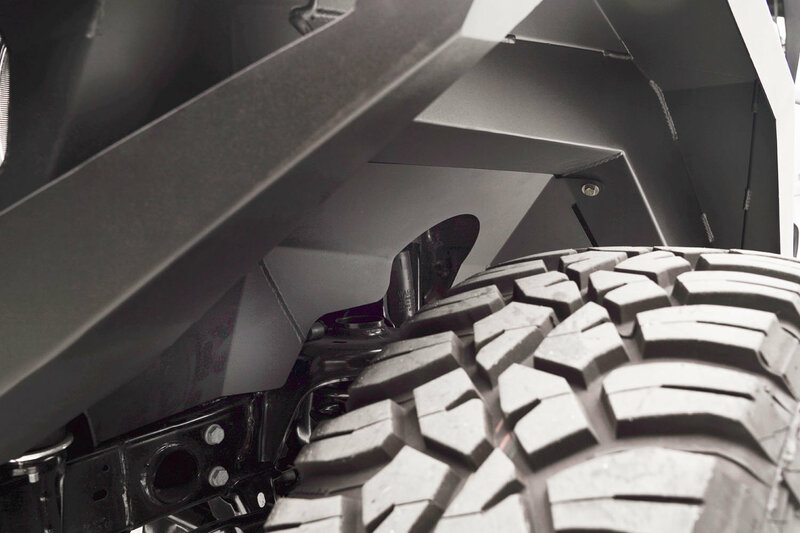 This inner liners are a perfect compliment while also serving a purpose in the added protection department protecting your Jeeps engine compartment from outdoor elements as well as off-road debris. 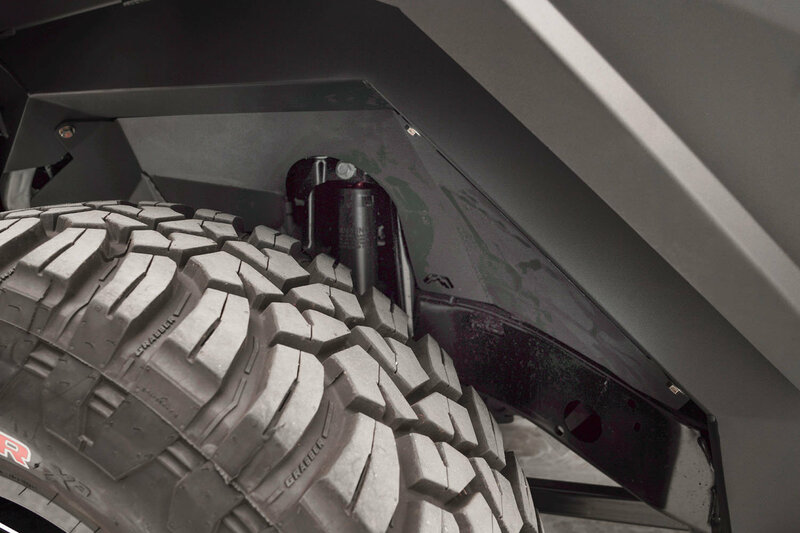 Added Protection: This simple install will protect protects vital components such as your engine compartment from outdoor elements you may come across while out on the trails. Construction: Made from high quality 11 gauge steel these liners will stand up to whatever you might come across while off-roading. The 2 stage matte black powder coat will prevent rust keeping your liners looking nice and functioning properly for years to come. 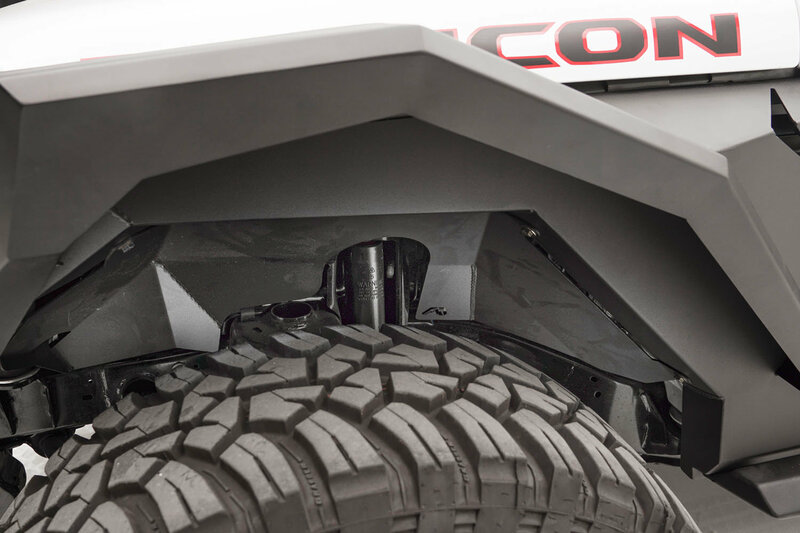 Installation: These liners will only work with the Grumper Fenders for your Wrangler JL. There will be drilling required for installation.